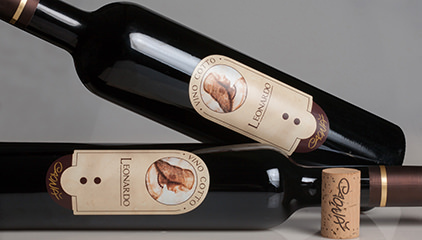 The Vino Cotto Leonardo adult is a vino cotto aged at least 10 years. Leonardo wine is characterized by an amber color with a brown glaze and by an intense and persistent scent of honey, caramel and hzelnut. As for its taste, it has the right balance between acidity and sweetness. Vino Cotto is ideal with all kinds of dry desserts, with fresh peaches and traditional or innovative meat recipies.